Beautifull! You're a quick knitter, I like the colour knitted even more. Carol, you are an amazing knitter (and photographer!). 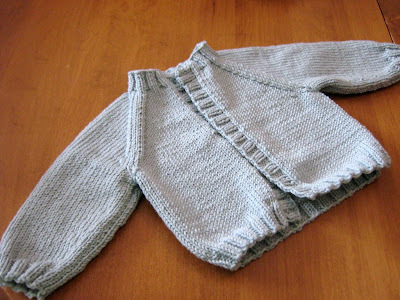 The sweater is so adorable, so cozy for a brand new baby. 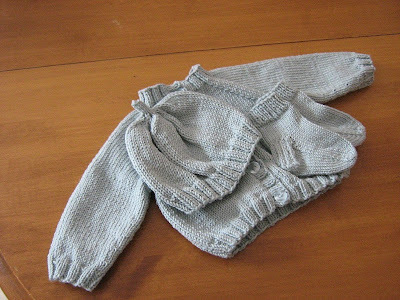 You've inspired me, seeing you transform yarn so quickly into this lovely lovely baby sweater. Wow, the little booties and matching hat are so cute! You are an amazing knitter! The whole set looks so beautiful together.